MJFA is pleased to present ALL AFLUTTER, a solo exhibition of sculptural paintings by American artist BARBARA HIRSCH. This is Hirsch’s first exhibition with the gallery and in New York and will be on view from October 26 – December 8, 2018. There will be an opening reception on Friday, October 26th from 6:00 – 8:00 p.m. and the artist will be present. The public is invited. A native of Birmingham, Alabama, Hirsch studied with renowned Alabama artist Maralyn Wilson, and holds a BFA from The Ohio State University. She was awarded Best in Show in 1971 and 1972 at the Birmingham Museum of Art. Since 1973, after her work premiered to a sold-out show, Hirsch’s career focused on commissioned art. In 2012, Barbara was selected as one of the Southeast’s best emerging artists in the prestigious Energen Art Show in Birmingham. Hirsch recently relocated to Aspen, CO., and has exhibited her work at Taylor Daine Goulet Gallery and the St. Regis Hotel. Her work is held in private collections throughout the United States and abroad. For the past 16 years, MJFA has been a leading gallery for modern and contemporary art in Westchester County. We welcome the experienced collector, design professional, and general public to discover, view and acquire exciting works of art by established, mid-career, and emerging artists. As a full-service consultancy, we handle resales of art, appraisals, framing, and art conservation. 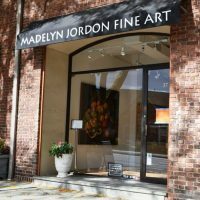 With a master’s degree in art history and museum studies, Ms. Jordon has a deep understanding of the art market and current trends. Her sensibility shines through the gallery’s rotating exhibitions of painting, sculpture, photography, printmaking and installation. 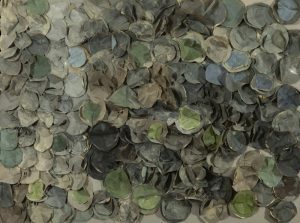 This entry was posted in Press Releases and tagged art exhibitions, contemporary art, sculptural wall works, visual art. Bookmark the permalink.